I say the same thing every year – how is it December already?! The years seem to just fly by and every December we’re left asking ourselves “where did all the time go?”. Well in my case, and the rest of the team here at Zoe, the last year has been a whirlwind of positives. Our business is growing from strength to strength and it’s all thanks to our superstar team, amazing clients, top-notch advisors, and you, our faithful readers. During this fantastic year, we’ve read some great blogs (and written a couple for that matter). 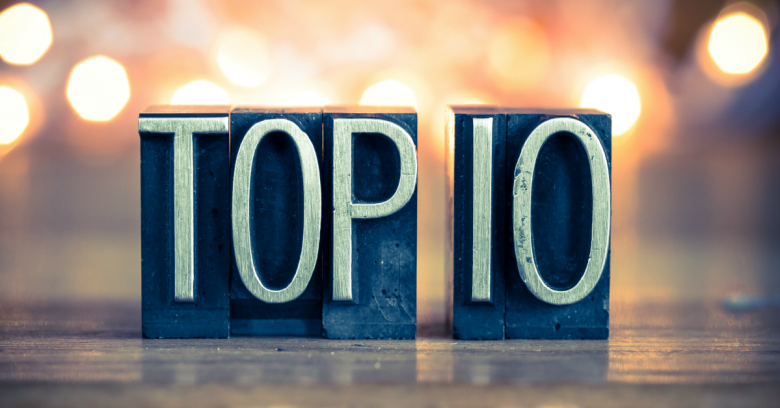 As we look back on a fabulous year, we present our TOP 10 OF 2017: blogs from both within our organization and from other super content sources. Enjoy! Although this piece by Nick Maggiulli is a bit market heavy, it’s a great take on how financial history gives us a false sense of security when it comes to investing. Both thought-provoking and useful. Read article here. 9. Is College Worth It? Maybe Not. The question of college is one that has been around for decades and one that will most likely hang around forever. We took a statistical and data-driven look at the costs and benefits associated with a college education. Our findings were not quite as obvious as we had initially expected. A timeless piece that will help your decision-making in this area and that shows the true power of listening to the data. Read article here. For many of us, a large part of our days is spent reading – news articles, blogs, social media feeds, the list is endless. But how you read can be more important than what you read. This post by Morgan Housel gets into the nitty-gritty of how to read financial news so that you can make sense of the overwhelming amount of content that we consume every day. Read article here. 7. How Much Is Your College Basketball Team Worth? This was definitely one of our most popular blogs this year. During March Madness we looked at the value of college basketball teams and our findings were pretty interesting. Short and sweet and worth a read. Read article here. This piece by Ben Carlson is fantastic! We often take things to be true simply because we’ve heard them so many times. Unfortunately, this can often hurt us as investors. A great read on how to be savvier when it comes to market myths. Read article here. 5. Are The Golden Years of Wall Street Over? Straight from the horse’s mouth, our CEO, Andres Garcia-Amaya, describes his years spent on Wall Street (some of which he refers to as the “wild, wild west”) and gives his opinion on whether or not the golden years are a thing of the past. Read article here. Our goal at Zoe is to make sure that everyone has the ability to manage their money better. Often, the ability to do this lies in the knowing what questions to ask. This great blog piece by Jason Zweig lists 19 questions to ask your financial advisor in order to decide whether they’re the one for you. Read article here. Ah, North Korea. What a crazy year it’s been for Kim Jong Un and President Trump. In an attempt to break through all the noise and the tweets, Andres wrote an epic piece on the history of the nation and just how we got to where we are today. A step out of our normal finance comfort zone and into the world of history and politics. A must-read. Read article here. A refreshing, powerful take by Josh Brown on why people are investing in the markets in today’s world. Why are markets doing so well when politicians are going mad and people are becoming less and less essential to production? An informative, entertaining read. Read article here. 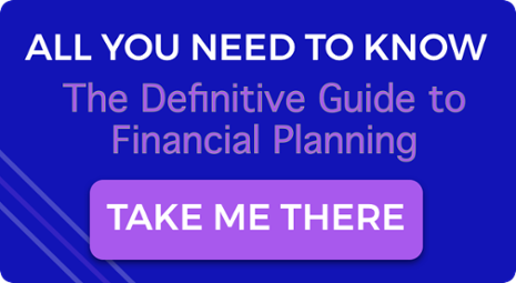 Financial planning and advice is a rather simple concept. However, it is often seen as an expense – one which many people choose not to incur. Our Head of Financial Planning, Dillon Ferguson, has really hit the nail on the head with this one, in explaining just how wrong that view can be. In a great comparison between personal training and financial planning, Dillon describes how with the right partner, your money can be fitter and healthier than ever before. Read article here. If you enjoyed this post, check out Wanna Sound Interesting With Your Family This Holiday?